I have 1 Admin account and 1 User account on each computer. The settings are the same for both accounts. Screensaver is set to "none." I have comodo antivirus installed. The only processes initialized at startup are intel common user interface, audio manager, comodo, itunes crap, and java. Any suggestions on what might be keeping these computers from staying on? 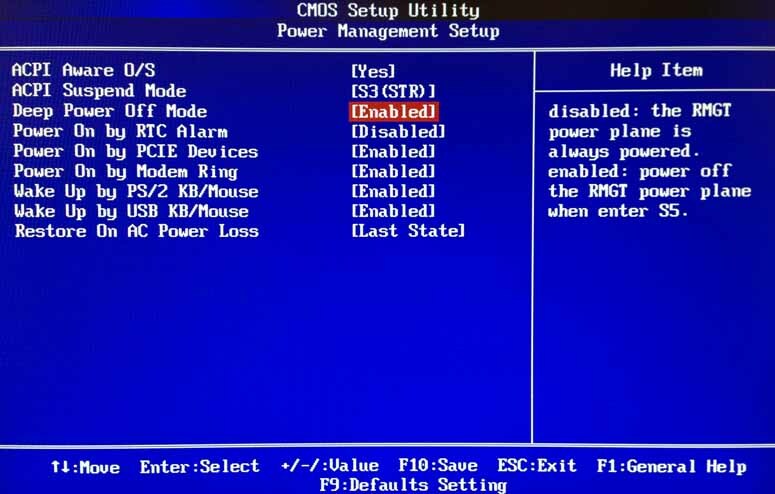 Check power saving options in BIOS. Make sure that all such options are disabled, otherwise they will override any settings in Windows. I went through the power settings on the BIOS. Disabling ACPI caused windows to not boot. I set deep power off to disabled. I have a feeling this won't be the solution though. It might be hardware problems. Did you check the temps? Even if the PCs are brand new they might have some problems. Usually defective computer parts start to show problems during the first days / weeks of use. When you say they shut down, are they doing a clean shut down? Like "Windows is shutting down" and closing everything? Or is it a sudden shutdown like a power outage? If it is the last I suspect hardware problems most probably temperatures. Modern CPUs have sensors in them and when they reach certain degrees (between 95C and 100C) they automatically shutdown to protect themselves. Don't click on the big "Download" button in the middle of the screen it's advertising, you need to look on the right side for "1.21 setup, English". No temp problems. The computers don't crash off. They simply shut down. But it is only when idling, after about an hour or so. OK in your original post you said you set the screen saver to "None" but that's not enough. 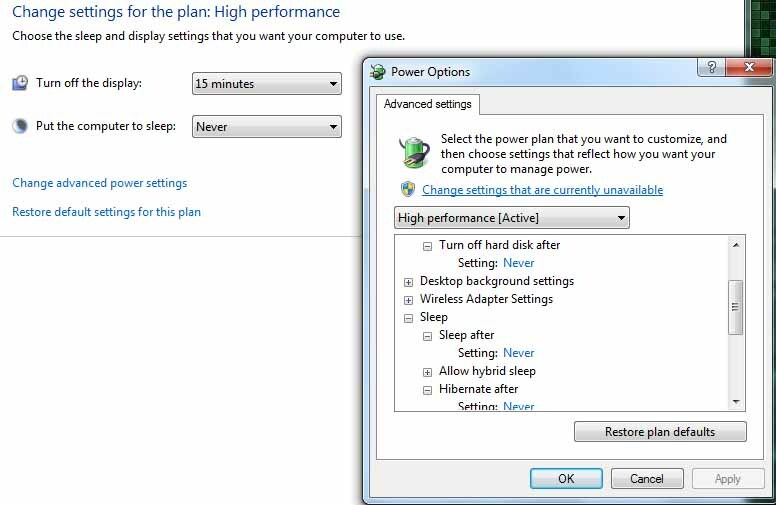 Go back to the same Screen Saver window, you'll notice a "Power Management" option so click on "Change Power Settings". Then on the next window click on "Change Plan Settings" for the currently selected plan and check your options. You can even click on "Change Advanced Power Settings" for even more options. I suspect they were not shutting down, maybe just going to sleep. Is the picture in the original post visible? This has already been done and set up to "never" for everything. Sorry I don't see any picture in the original post on my end. So if you already check the BIOS and Windows settings it has to be something else. Is there something particular with these 2 PCs, like did the users installed a different software that others don't have? Also, are these PCs from a specific manufacturer? Like Acer, Asus, Toshiba, etc... Some manufacturers will pre-install their own power management software that will bypass the built-in Windows one. Check if you have such a software installed. I still think this could be a hardware problem. You said and I quote "The computers don't crash off. They simply shut down." What do you mean by that, can you be more specific? Were you actually able to see them yourself shutting down? Were you able to see a message like "Windows is shutting down" or "Windows is going to sleep"? If it's Windows or a software that is sending a command to put them to sleep or shut down, there should be a trace in the logs. Did you check the system and application logs? A blue screen might also make the computer reboot automatically without displaying a message. But based on what you said it's a shutdown and not a restart? You also said that your temps are OK, but what do they look like exactly? Did you check on idle and under stress what the temps look like? You say this happens under idle but you never know there could be a background program using the CPU a lot when they shut down making them overheat. If nobody is in front of the PCs when they go down it's hard to tell what's going on so they might not be idle. Test it by setting it to do nothing. More specific how? All indications suggest a shut down. No notification of an "unsafe" shutdown, nothing suggesting to do a chkdsk. The computer only shuts down when idle, which means no one is around. We come back to the computer, we turn it on, and we login as usual. The computer are by Acer. I uninstalled all crapware that comes with it to my knowledge. I have two user accounts, Admin and the regular user account. Both have power options set to the exact same specs.